I've recently been accused on another blog of being arrogant. This came as a surprise to me so I asked the blogger what she felt about me was arrogant. We had a very civil discourse and then she surprised me again. She edited her original post. For all intents and purposes, I was therefore no longer arrogant. I won't quote her or identify her because she has a gentle heart and was really troubled by what she had first written. However, she did touch upon something that others have expressed here from time to time and I feel it needs to be explored. I haven't been called arrogant before, but I have been called delusional, ignorant, an idiot, and a loser. All par for the course when posting one's thoughts out into the public arena. Not everybody is going to like what you write. So whence the trouble? Well, it is my opinion that most neurological problems are no more complicated than physical ones, meaning they can be overcome. But our society has cultivated a culture of helplessness in its quest for increased sensitivity or profit, depending on the party. In fact, this may come across as overly harsh to you if you are accustomed to the politically correct approach employed by most experts. It is, however, this pugnacious attitude that forms the core of my fight against disabilities. Some readers bristle at me referring to things like AD/HD and Depression as disability. Some feel ashamed after reading my column because they require medications where I don't and some feel I shame them which makes them angry. Some are merely offended that I dare say that one can cope with life without medications, and others, in my opinion, are so deep in their troubles that they despise or reject any hand extended out to them. Skeptics find me boastful, depressives find me depressing (because, presumably, they can't fathom using optimism to offset depression), and snobs write me off as yet another AD/HD whiner, if they recognize AD/HD at all. And still I pound away at the keyboard. I will not be silenced. My blog is linked all over the internet. Hundreds of people each week read what I write. Obviously, not all of them agree with me. I have entertained a very unpopular idea that I can overcome neurological disabilities with positive thinking and a cheeky attitude. And I'm proud of it. I don't think that's the problem, however. People who disagree with me might flame me here in the comments, flame me on their blogs, or never visit my site again, but they never recommend my column while also stating they find me a bit arrogant, as my newfound friend did. This I take seriously. Any person who rudely dismisses my opinion because they don't agree with it is roundly skewered by me in the comments section. I have no patience for them. But those who are hurt by what I say or troubled by it cut to my core. I see that as a personal failing, especially if I haven't made myself clear as was the case where this friend was concerned. Apparently, in my efforts to empower people and cheer them on I make it sound like overcoming things like depression or anxiety should be easy, when really it is a struggle - even for me. It takes a very long time to get to the point where I am at with depression. Once, I was suicidal. Now I really can shake depression off. Before, I would experience panic attacks. Now, I am relatively relaxed and easy going (comparatively, anyway). The secret sauce to my special recipe for success is being ornery. I get mad at disability. I glare at it. I snarl and shout at it. I treat it as my arch nemesis - my Snively Whiplash. The problem is that I have a hard time getting the thoughts in my head out into my column. Somehow, I fail to communicate the struggle and only succeed in emphasizing the success. 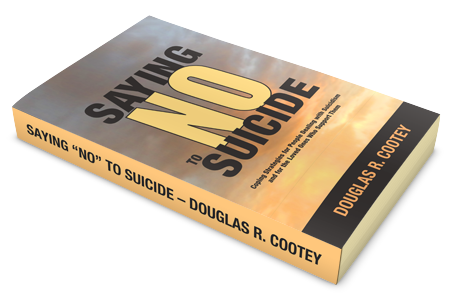 Alas, Dudley Doright was never known for his communication skills, but he got the job done. Well, here's a little truth for you. I'm having a hard time of things these past few months. I am struggling with insomnia and not winning the battle. Consequently, my AD/HD is odious, my tic disorder keeps me out of society, and depression hovers in the wings like an annoying mosquito - ever present with its incessant whine. Even my anxiety, something I kicked into submission over ten years ago, is rearing its very frantic head as I approach my fortieth birthday while my goals are still unmet. So now the world knows that I am not only not perfect, but not on top of my game either. If I have any flaws here, however, it is in my difficulty in expressing myself, something I continually fight with. But I will prevail. I may have had a setback, but the techniques I have learned will see me through this dark period. You see, I have decided that I am tired of disability getting in the way of my happiness. I don't mean to be arrogant, but I may continue to sound that way regardless. I believe I can overcome my neurological difficulties, but worst of all I believe you can do it, too.